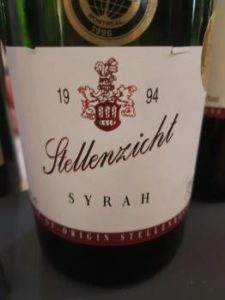 Stellenzicht Syrah 1994 is a South African icon red wine. In the notorious SAA Shield tasting of 1995 that saw the country pitched against Australia, local wines were badly shown up on the whole so it was no mean feat when the maiden 1994 vintage of Syrah from Stellenbosch farm Stellenzicht made by André van Rensburg now at Vergelegen placed third in class. Not only was this a category that the Australians were supremely confident of winning outright by taking all of the top three places, the Stellenzicht wine rated better than the 1990 vintage of the iconic Grange Hermitage (history does not seem to relate which wines placed first and second). In any event, the wine showed supremely well at last night’s tasting prior to today’s Nederburg Auction – there are 15 six-bottle cases available for sale and it will be a very good test of what value the market really places on SA fine wine. According to the catalogue, the wine has a reserve price of R5000 a case (the equivalent of R833.33 a bottle) which seems exceptionally modest. According to wine-searcher.com, Penfolds Grange 1990 changes hands for an average price of R7 581 and a similar price for the Stellenzicht should not be unobtainable. 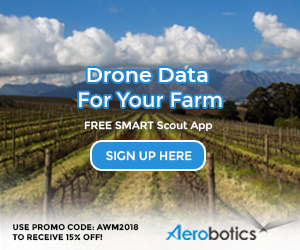 For the record, I thought the Nederburg table wines were all more or less solid if not thrilling; the older wines were in short supply but in any event were going to sell themselves; and finally a shortage of time prevented a close look at sweet and fortified wines.